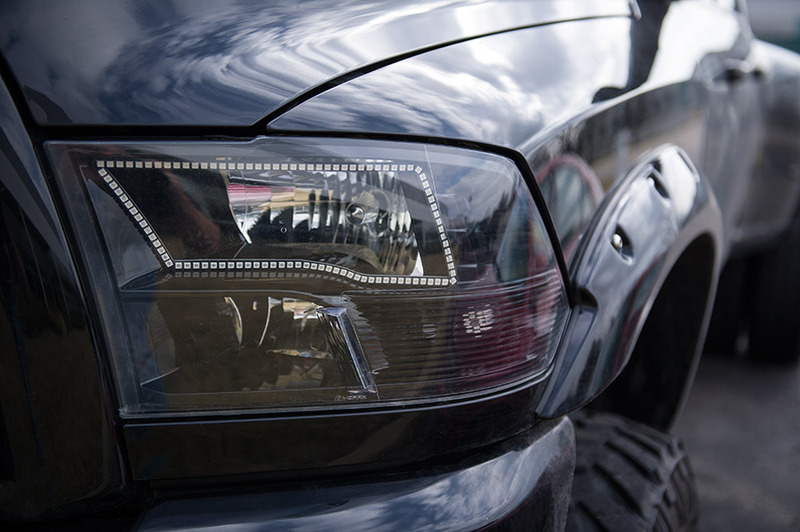 RGB 5050 SMD LED: Shown Installed In Dodge Ram Headlight Fixture. 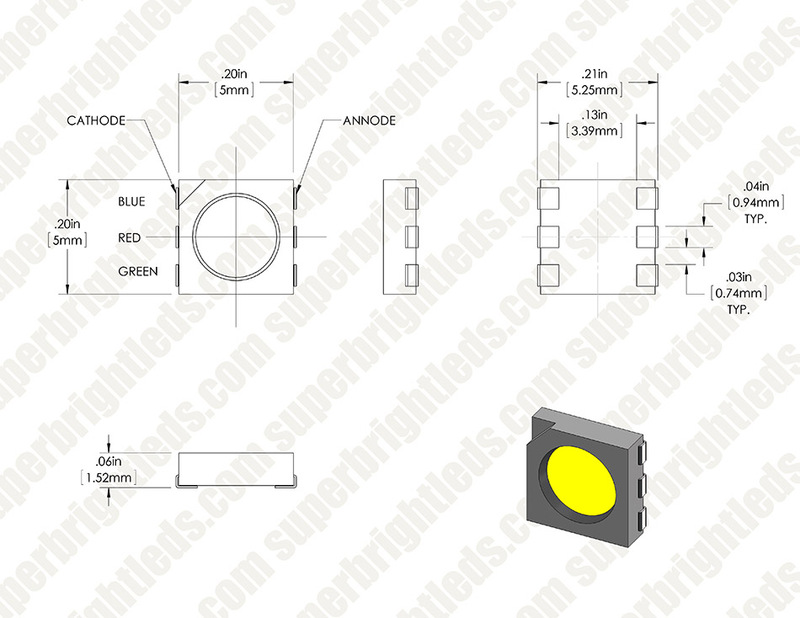 This 5050 3-Chip SMD LED is the cutting edge in LED color-changing technology. 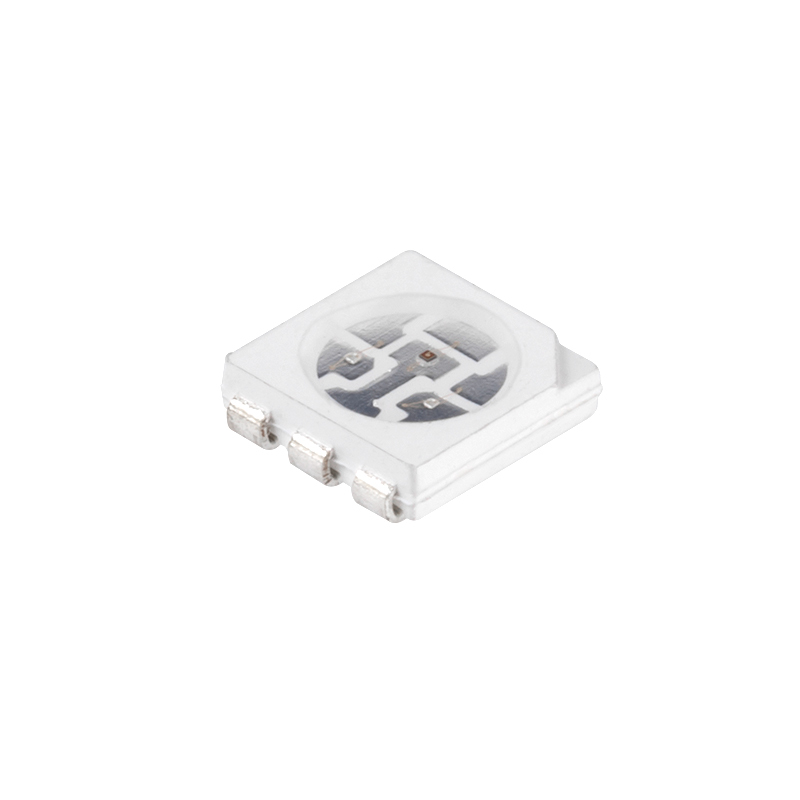 Use this compact SMD LED to blend your 3 source colors while reducing hot-spots, glare, and shadows. Red, green, and blue chips have 625nm/520nm/465nm wavelengths respectively. The LED emits a wide 120° viewing angle. Also available in RGB/Natural White, RGB/Warm White, and RGB/Cool White.